Released by U.K.-based Documentary distributor Journeyman Pictures, Birdmen: The Original Dream of Human Flight begins as a quick overview of man' history to achieve the seemingly forbidden world of flight. 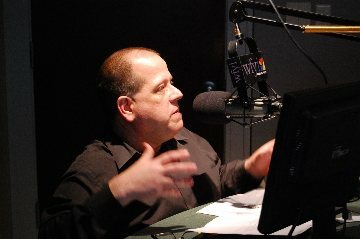 The film really becomes involving, however, once writer/director Matt Sheridan gets to the matters at hand - B.A.S.E. Jumping, an increasingly popular "extreme" sport that takes skydiving and essentially turns it into a performance sport. The film centers around three wingsuit basejumpers - Ellen Brennan, Matt Gerdes and Mike Steen. The three have grown into an elite sport that would terrify most human beings while leaving others in awe of the sheer risk involved in intentionally leaping off mountains and cliffs with nothing but you, a wingsuit and a parachute. "Few other people understand the feelings involved," says Ellen. As is true for many extreme sports, wingsuit basejumping can easily be an addiction yet Birdmen never shies away from the reality that it's a sport that can and does take lives and can be quite brutal. Virtually everyone interviewed has lost close friends, though the wingsuit basejumping community is admittedly a small community anyway. Birdmen: The Original Dream of Human Flight looks and feels an awful lot like a documentary that should have its home on ESPN, an amazing weaving together of awe-inspiring cinematography and insightful and educational dialogue and interviews. Very few sports documentaries seem to nail that tone, and credit for Birdmen's success must go to Matt Sheridan, a participant in the sport himself and whose passion and insight obviously inform the film's photography and interviews. 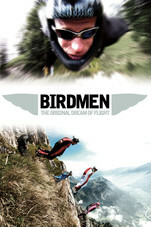 Birdmen: The Original Dream of Human Flight is 52 minutes of mesmerizing photography and surprisingly "normal" reflections by men and women who are taking anything but normal risks in the name of spreading their wings and achieving the original dream of human flight. The film is available on Itunes and fans of extreme sports and/or simply sports docs will find much to love here.